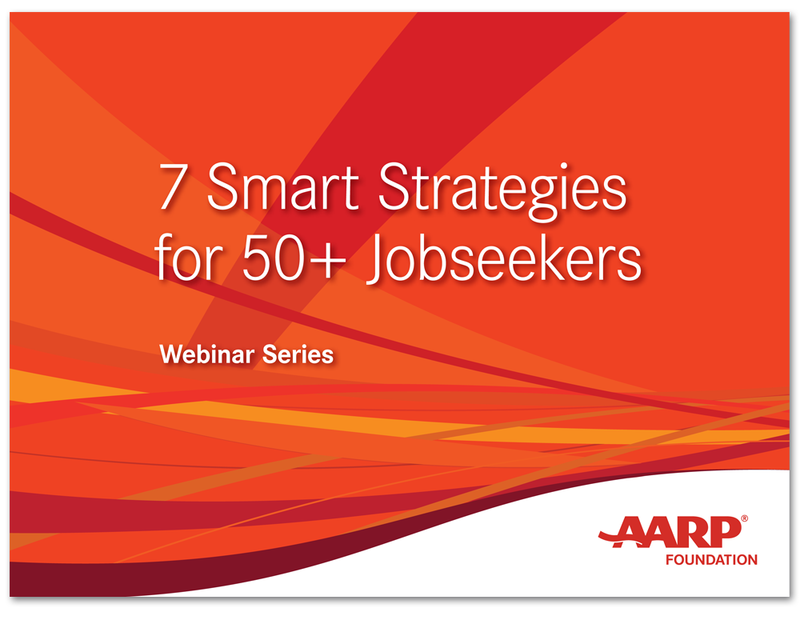 AARP Foundation, the charitable affiliate of AARP, hired Hager Sharp to develop 7 webinars and a companion Leader’s Guide brochure for their 7 Smart Strategies for 50+ Jobseekers campaign. 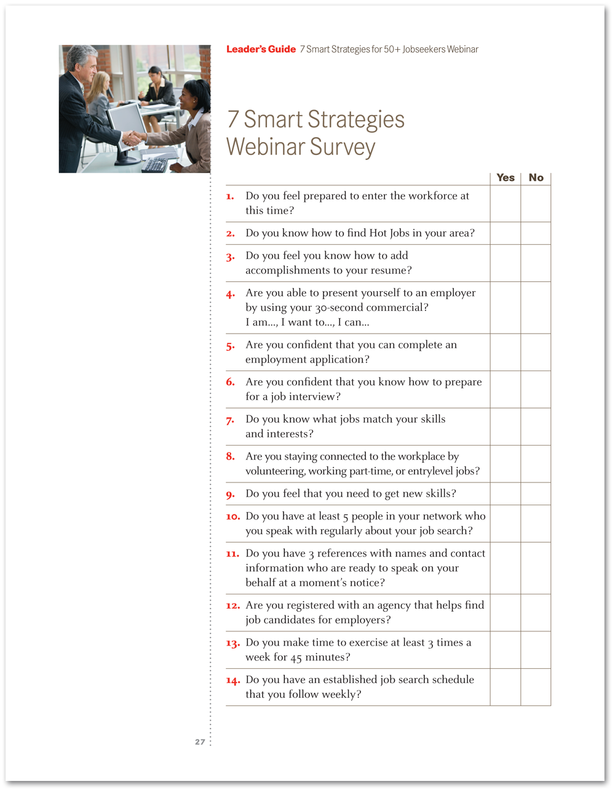 Hager Sharp contracted Lisa Glassberg from Cultiva Studio to art direct, and design all 7 webinars (with 50 screens each); and the Leader’s Guide brochure. 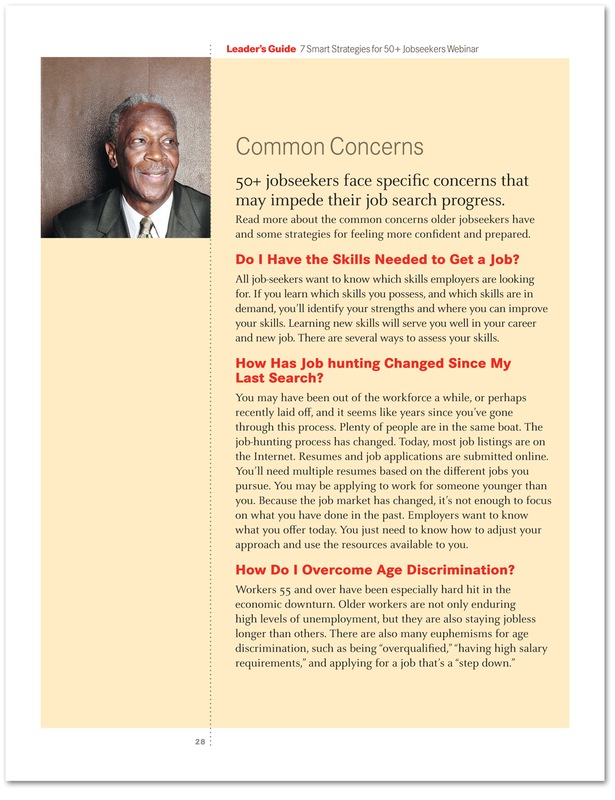 She was tasked with applying the AARP Foundation’s established brand look and feel to both the webinars and the brochure. She worked closely with the copywriter to ensure that each screen design highlights the content in the script. 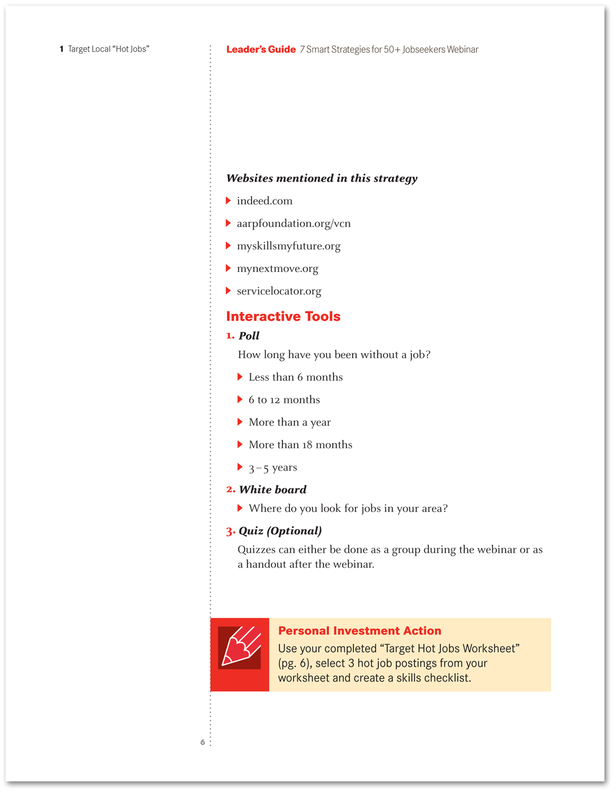 Below are some sample screens from the first webinar, and sample pages from the Leader’s Guide brochure. 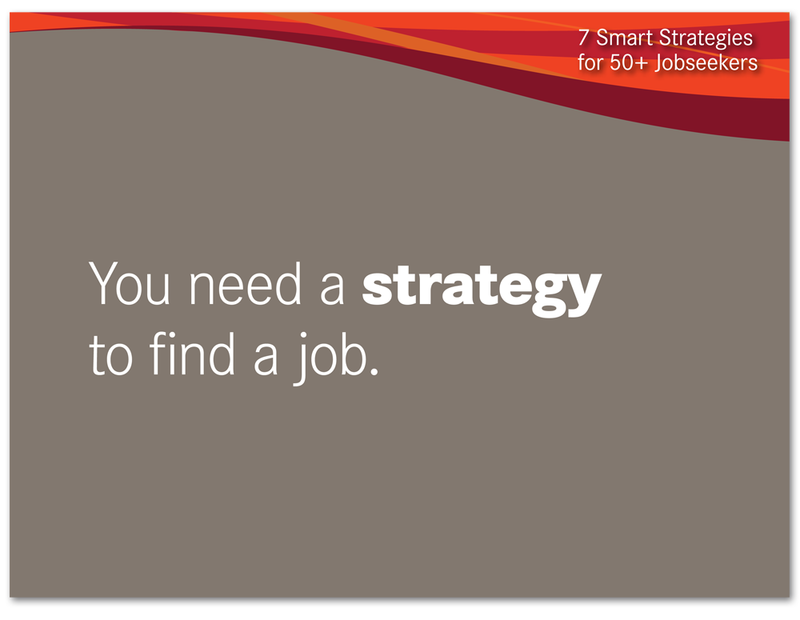 Sample pages from the Strategy 1 webinar for the 7 Smart Strategies for 50+ Jobseekers campaign. 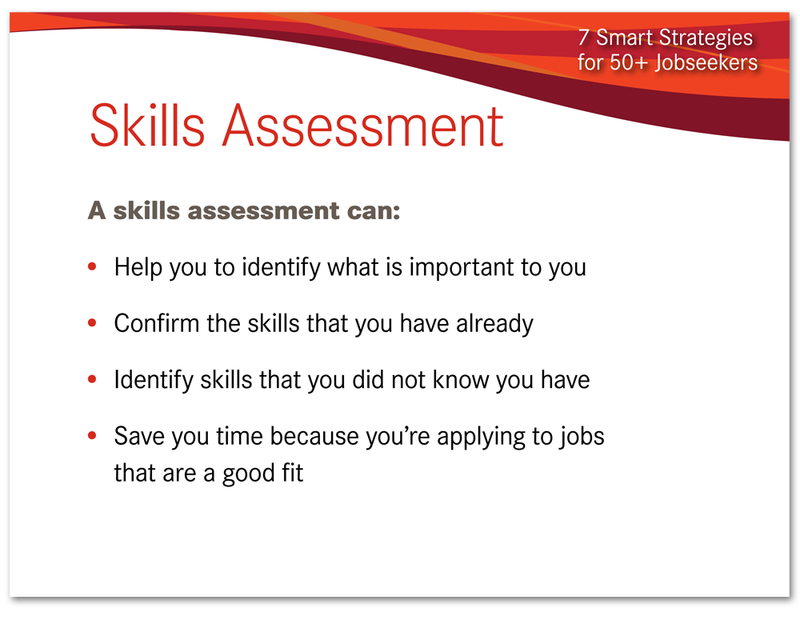 Sample pages from the 7 Smart Strategies for 50+ Jobseekers Webinar Series Leader’s Guide brochure.